Probably no family in organized crime organized vice to quite the extent of the Capone Mob. 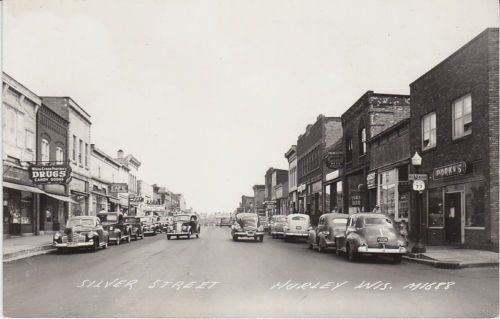 A typical Capone area in the 1920s was Silver Street in Hurley, Wisconsin. Sometimes referred to as B-girl U., it was the site of a mob-run crime school that functioned as long as B-girl bars and brothels were a major portion of mob operations. Much of Silver Street was composed of honky-tonks where teenage girls, brought there from Canada and around the Midwest, were taught the gentle arts of "mooching and dipping." When they were fully schooled, they were shipped from Hurley to underworld dives all over the country. Many of the girls lured from Canada thought they were getting dancing jobs, but when they arrived, they were informed the jobs were gone. Since most didn't even have money enough to return home, they were ripe for propositions claiming they could make some money simply by drinking with honky-tonk customers; if they got the customers drunk they could steal money from their wallets. The girls were taught the art of the "swift dip," which involved taking a wallet, removing the money, and slipping the wallet quickly back into the drunk's pocket. Particularly proficient girls were taught the dosages and administration of the Mickey Finn , while those not up to such deceptions were forced into prostitution. Runaway girls were especially victimized, many ending up as virtual slaves . Some were turned into strippers on the underworld's burlesque lounge route. Girls who tried to get away were subjected to violence, beatings (that did not affect their market value), knifings or acid in the face (if they were to be made an example of for the other girls). Eventually, most girls were turned into narcotic addicts to make them more cooperative. The Capone Mob's business in vice and in Silver Street died a natural death after a couple of decades, but not because of reformers or the mobsters' own regeneration. The nature of vice changed after World War II, swinging away from whorehouses to independent call-girl setups that the mobs found much more difficult to control.